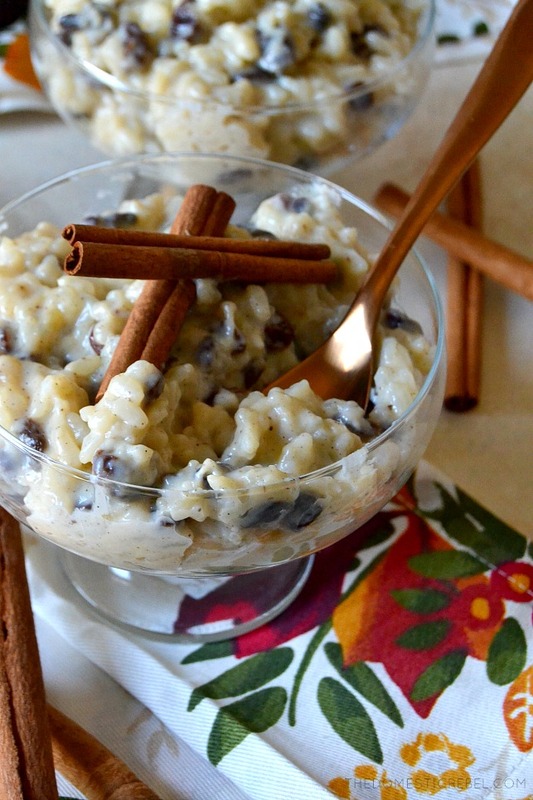 This Rice Pudding recipe is so creamy, silky-smooth and buttery with a hint of vanilla bean and cinnamon. Perfectly easy and made in one-pot for easy clean-up! So it is FINALLY cooling down here in Sacramento – thank goodness. Unfortunately, we’re currently surrounded by smoke due to our close proximity to a wildfire up in Chico, CA. But besides the horrible air quality, I’m thankful it’s cooling down. I was getting antsy for cooler weather since it was basically summer still up until last week! Tis the season for comforting, cozy foods… especially right around Thanksgiving and leading into Christmas. 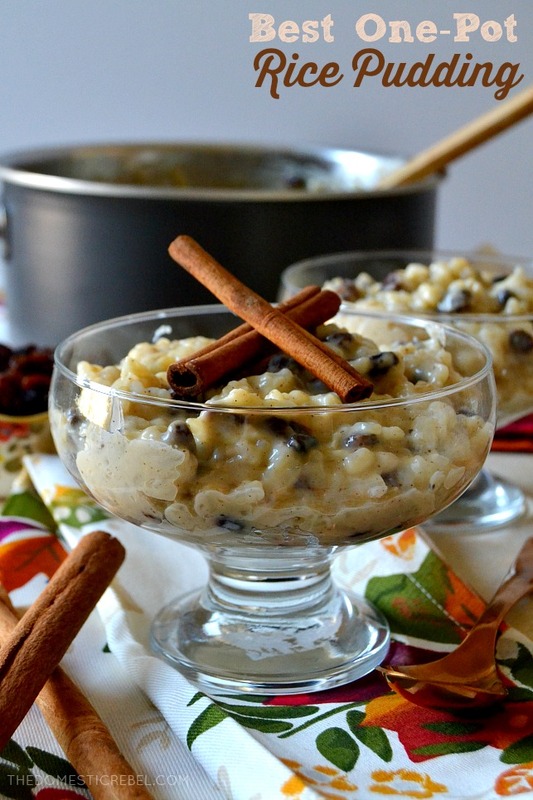 And I can’t think of anything more cozy than this Homemade Rice Pudding! It’s super creamy and smooth with an amazing vanilla bean and light spice flavor in every bite! 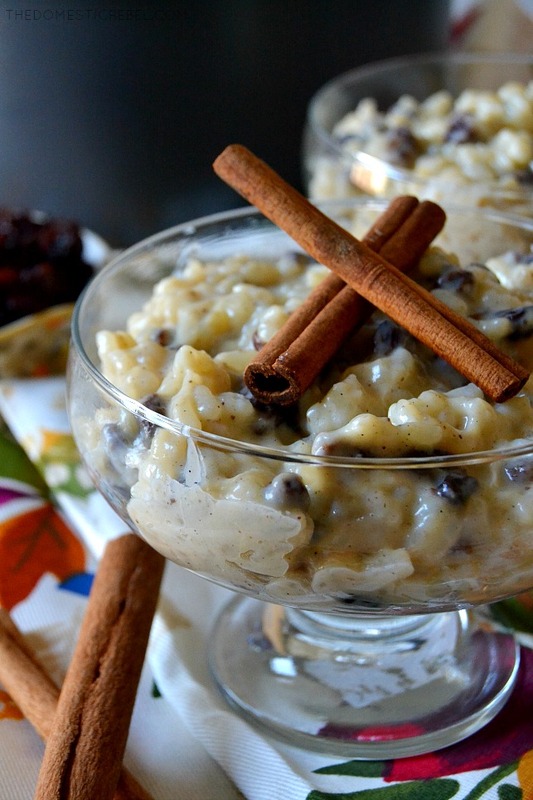 The rice is tender and the pudding is studded with juicy raisins, just like a traditional Arroz con Leche. Plus, it is made in one-pot from start to finish, so there’s no need to do anything fancy – perfect for busy holiday season! Small confession: I am not a big rice pudding person. It’s a texture thing, frankly. 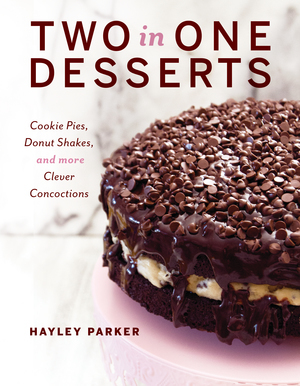 But of course I tried this and it is better than the recipes I’ve tried in the past. The flavor is incredible – super creamy and silky with flecks of aromatic vanilla bean and warmth from cinnamon and a pinch of nutmeg. Plus, as the raisins cook in the pudding, they get extra juicy and thick – like little bursts of sweetness in every bite. You start with your rice, of course! While I was researching this recipe, I found that the best rice to use is medium-grain rice. Long-grain and short-grain rice just don’t offer the same texture as medium-grain, which is often types like Arborio rice used to make risotto. The medium-grain cooks beautifully and contributes to that creamy texture that’s paramount to rice pudding recipes. Also, yes – the kind of rice matters. I would use a white rice over a brown rice because brown has a far different texture and outcome as white rice. I also recommend using whole milk in this recipe, due to the fact that it thickens the rice pudding best and imparts the best flavor. You could totally try skim milk or coconut milk, but it may be thinner and/or take longer to thicken than if you’d used whole milk. I can’t imagine how flavorful coconut milk would be for this, though! Next up: condensed milk! That’s right. You’ll add it toward the end with a couple Tablespoons of butter. This gives a little something extra that sends this rice pudding over-the-top and it’s a tip I learned from Karina at Cafe Delites. If you don’t have condensed milk, you can use more of the whole milk, but I love the extra creaminess and richness that sweetened condensed milk adds! To jazz up the flavor, I added in some Vanilla Bean Paste because it is more concentrated than vanilla extract and gives the pudding those gorgeous flecks of fresh, real vanilla bean. I also added in some cinnamon and a pinch of nutmeg. Of course, you can omit this but I love the warmth and aromatics these spices add a hearty, hot bowl of rice pudding! And as always – if there are raisin nay-sayers in the building, feel free to omit them! 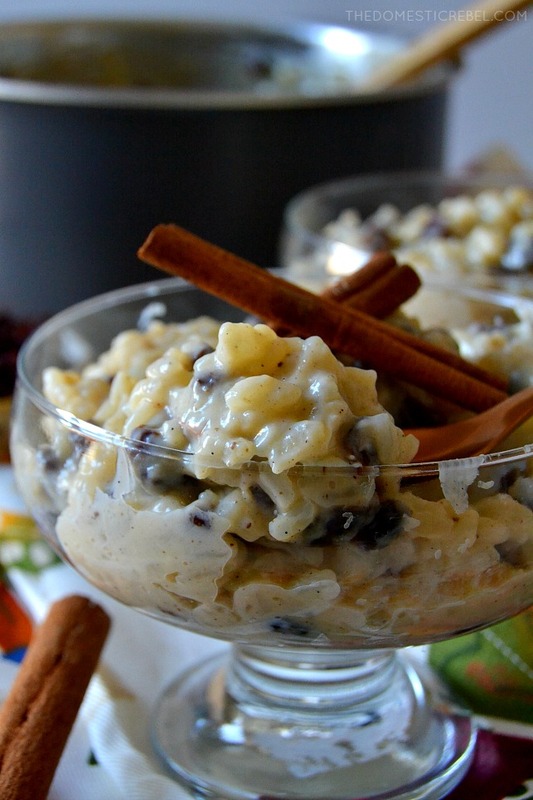 However, they’re very traditional in Arroz con Leche and many rice pudding lovers will agree that raisins are necessary for a successful rice pudding. Now who wants a steaming bowl of this creamy, gorgeous pudding!? 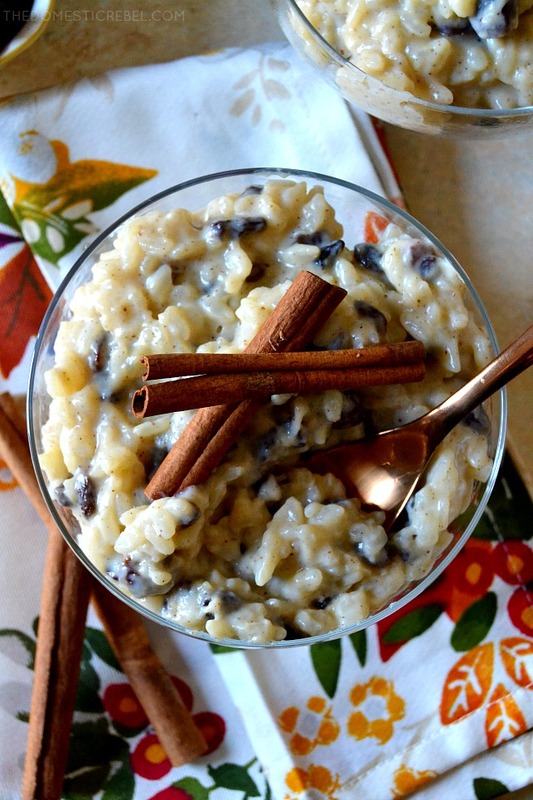 This Best-Ever One-Pot Rice Pudding is ultra creamy, silky-smooth and packed with incredible flavor thanks to cream, sweetened condensed milk, vanilla bean and aromatic cinnamon spices. Add 1 & ½ cups of water to a large saucepan and bring to a boil over medium-high heat. Stir in the rice, reduce the heat to low, cover and simmer for 15-20 minutes until rice is fluffy, tender and cooked and water has evaporated. To the same pot with the rice, add in the whole milk, sugar, and salt. Cook and stir over medium heat until thick and creamy, about 10-15 minutes. Working quickly and carefully, whisk in the beaten egg, vanilla bean paste and raisins and stir vigorously until egg is incorporated and mixture is smooth. Cook for 2-3 minutes longer. Lastly, add in the butter, condensed milk, and spices, stirring until combined, and cook for another 1-2 minutes more. Serve! 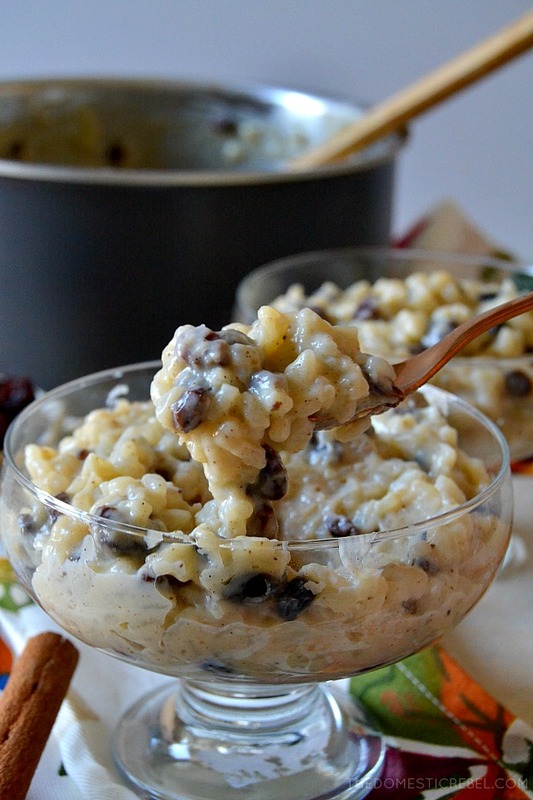 Smooth, creamy, and decadent: this rice pudding is the epitome of cozy comfort food! I have never tried rice pudding in my life, think I missed a good dish. 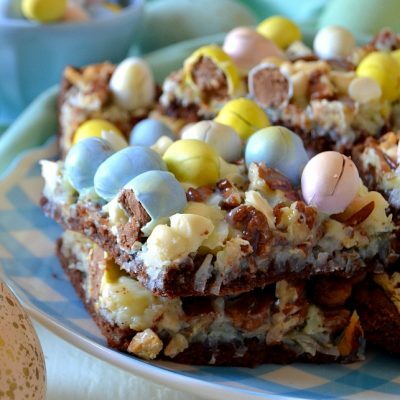 Thank you for sharing the recipe, I will definitely try it very soon. I saw you the other day on Home and Family, and I instantly fell in love with you and your recipes. 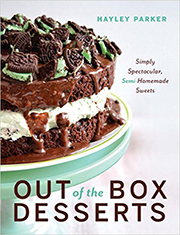 I purchased your cookbook Out of the Box Holiday Baking, and I cannot wait to begin baking. However, being a rice pudding lover, I am going to have to try this rice pudding first. It sounds delicious! Thank you!